Product prices and availability are accurate as of 2019-04-06 00:57:51 EDT and are subject to change. Any price and availability information displayed on http://www.amazon.com/ at the time of purchase will apply to the purchase of this product. HP 508A (CF361A) Cyan Toner Cartridge for HP Color LaserJet Enterprise M577 M553 . 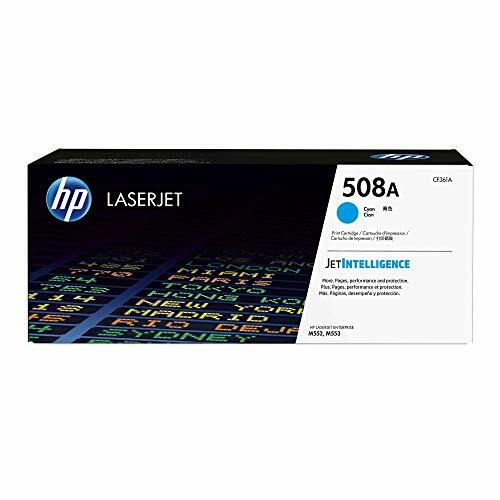 HP 508A (CF361A) toner cartridges work with: HP Color LaserJet Enterprise M577, M553. Original HP toner cartridges produce an average of 71% more usable pages than non-HP cartridges. Cartridge yield (approx. ): 5,000 pages. 508A toner is designed to work with your HP printer for high quality, reliable results every print. 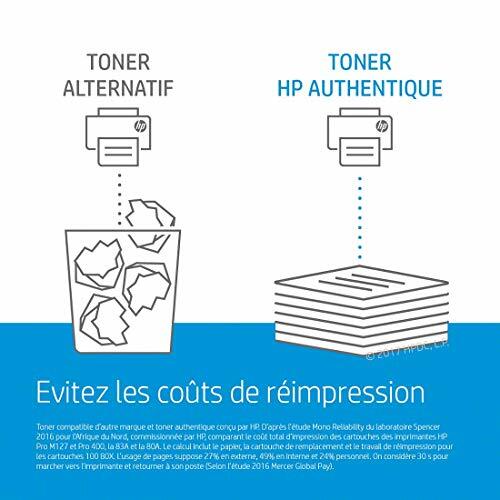 Ensure that your printing is right the first time and every time with HP printer toner: 508A toner. What's in the box: 1 New Original HP 508A (CF361A) toner cartridge. Color: Cyan. Color: Cyan Original HP Cartridge Yield (approx): 5,000 pages Be confident you're getting more from your cartridge. Original HP Toner cartridges with JetIntelligence deliver dependable tracking of toner levels and cost-effective, high-yield options Produce top-quality color documents, at speeds your printer was built to achieve. 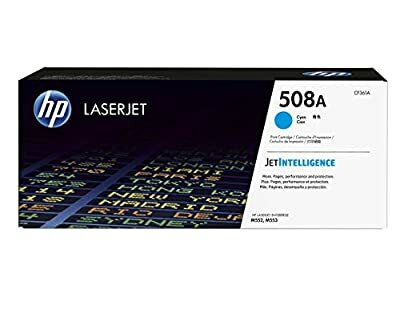 Original HP Toner with JetIntelligence is engineered to match your printer's high-speed performance, while producing professional-quality prints What's in the Box: New Original HP (genuine) toner cartridge HP Printer compatibility: HP Color LaserJet Enterprise M577, M553.